Term 1 squad training has been a huge success with all archers notably improving their skill levels and identifying areas they need to work on. Congratulations to Greg on a job well done for term 1. Term 1 training concludes this Sunday starting up again two weeks later with the commencement of Term 2 Squad Training. Greg will return in Term 2 to continue his great work. In conclusion to term 1 training we will be holding a tournament for all archers on Sunday 15 April. This will be a formal tournament to showcase archers improvements and introduce our newest archers to the tournament environment and rules. Archers will be broken into three genderless categories, Under 12’s (10m), Under 18’s(30m) and Over 18’s(40m). Three Gold silver and Bronze awards will be made in each category. Several weeks ago an arrow and arrow making seminar was held. A lot of information was presented, I hope not too much as to confuse everyone. The key point here is “any arrow just won’t do”. If you want to shoot better having the correct arrows can make a huge difference (just ask Sofia). Next term will see a second seminar focussing on equipment maintenance. All squad members are encouraged to attend this seminar (date to be determined). All club members are also welcome to attend. 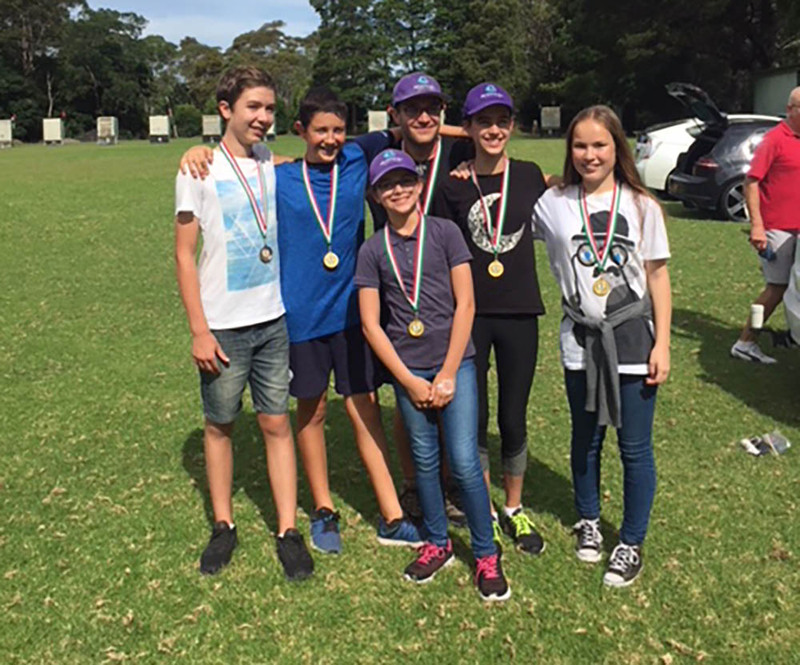 Last year archers from Bondi headed to Illawarra archers in August for their annual field archery competition. As this was new to almost all archers, we ran field archery education days several weeks prior to the event. We are doing something similar this year with training days. In preparation to the South Coast Field and National Indoor Championships we will also be conducting some July school holiday intensive programs specifically for those wishing to enter. Stay tuned for more details.